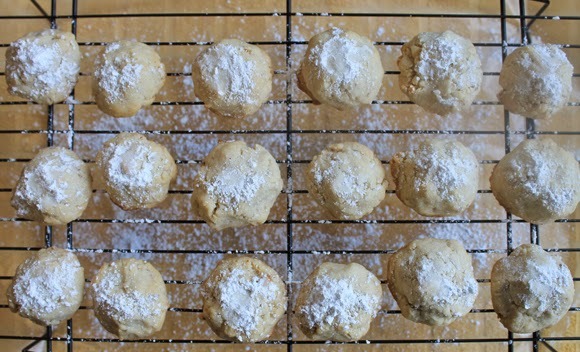 less is more: almond snowdrop cookies. 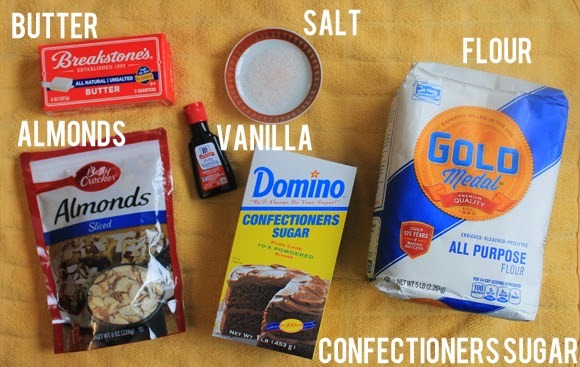 // 2 C flour 1// Cream butter, salt, and sugar together, then add in the almonds and vanilla. 2// Add the flour gradually. 3// Scoop teaspoon-size balls onto a greased baking sheet and bake on 325* for 15 minutes. 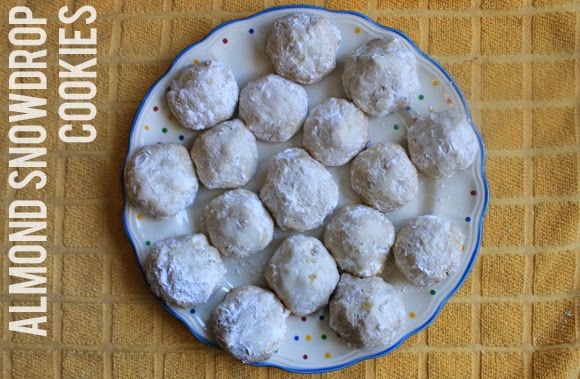 4// Sprinkle confectioners sugar on top while the cookies are hot, then when fully cooled, cover them with the sugar by shaking them around in a ziploc. 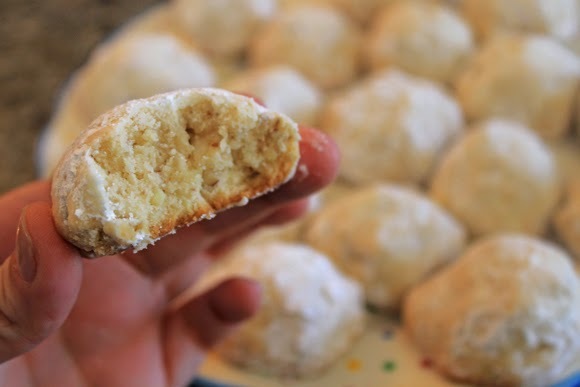 Everyone who got to eat one of these puppies loved them, and they are the most simple cookies to make. Between prep and baking, it takes about 30 minutes from taking out the ingredients to getting these into your mouth, which is both efficient and delicious.